In this series of blog posts, Vili Lehdonvirta writes about his thoughts and experiences at ISA 2014 in Yokohama, Japan. In this second part, he discusses professionals and knowledge workers in the context of labour market flexibilization, and draws implications to the study of online work. Read the first part. In my previous post, I adopted labour market flexibilization as the overall frame through which I present my ISA thoughts and learnings. Sociologists tend to focus more on identifying the exploited and the downtrodden, but there are of course also workers who benefit from flexibilization. Most nonstandard work is associated with lower earnings over career and higher exposure to individual and social risks, but some workers are able to negotiate better deals for themselves in a more flexible market. Typical sources of such bargaining power are special skills and membership in a regulated profession. Both were discussed in the several interesting sessions dealing with the sociology of professions. In a session on the cross-bordering and internationalization of knowledge workers, Gerbrand Tholen recapped how established professions, such as medicine and law, use labour market strategies aimed at establishing occupational monopolies over the provision of certain skills and competences. Such strategies are often based on a certifiable body of knowledge acquired through the education system. However, in newly emerging occupations, the link between university studies and job content is often tenuous and jobs diverse. Tholen noted that many newly emerging professions, such as software engineers, consequently enjoy little or no monopoly power over the provision of their skills to the marketplace. The power of formal qualifications also tends to be limited to the national contexts in which they are created. Other “employability” strategies may be available, however. The other source of bargaining power, special skills, was also addressed indirectly in several presentations. In a session titled “Knowledge Workers: Processes of Hybridization, Marketization and Subjectivation”, Guido Cavalca and colleagues presented a study of medium- and high-skilled independent professionals in the Milan area. These included such professionals as webmasters, web designers, public relations consultants, and architects. Minglione and colleagues found that their subjects fell into two groups: those who felt that they were successful and autonomous independent professionals, or had a good change of becoming such; and those who felt that they were simply low-status employees in disguise, economically dependent on their employers but with no job security. These “hybrid workers” get the worst of both worlds: the lack of autonomy associated with employment, and the negative economic risk associated with entrepreneurship. Elsa Vivant reported similar findings from France. These divergent outcomes had to do at least partly with differing levels of skill and seniority, as well as work content. Cavalca’s study also included interesting findings on subjectivation and identity, which echoed some of my earlier findings on low-status online contractors’ identity talk: namely that regardless of how successful and independent they were in practice, contractors tended to laud their freedoms and draw favourable contrast to regular jobs, possibly as a way of maintaining a positive outlook despite sometimes tough circumstances. In the same session as Cavalca, I presented my working paper on “Freedom and Agency in Low-Status Online Contract Work”, based on data I collected with Paul Mezier at the LSE over a year ago. Though originally scheduled as a distributed paper, I eventually got to give a full presentation on it. It basically deals with one aspect of how workers cope (or fail to) with flexible labour markets. This question was also touched on in some other presentations: how individuals and institutions not only win or lose, but also adapt to labour market flexibilization. Transnational professionals or digital precariat? Are we likely to see a professionalization of some types of transnational online work? In other words, are there strategies available to some classes of workers to establish monopoly power over the provision of certain skills to online labour markets? Do differences in skills explain divergent outcomes for workers on online labour markets, from successful entrepreneurship to exploitation? If not skills, then what? Does online work give rise to new occupational or class identities, and how do these identities intersect with existing national, social, and gender identities? How do individuals cope with and adapt to online work, and shape their everyday lives around it? What implications do these adaptations have to family, community, and society? In the third and final part of my ISA 2014 report, I look at organized labour and global production networks, and draw additional implications to the study of online work. 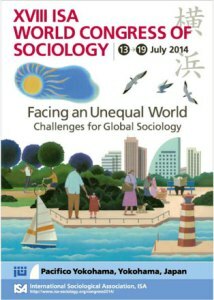 Note: This post was originally published on the OII's Connectivity, Inclusion, Inequality blog on 29 July 2014 9:43 am . It might have been updated since then in its original location. The post gives the views of the author(s), and not necessarily the position of the Oxford Internet Institute. I had the opportunity to contribute to this new BCC World Service programme ‘Will ... Read More Will AI kill development? Amir Anwar and I have a new article out in First Monday. The piece ... Read More New article – The Global Gig Economy: Towards a Planetary Labour Market?